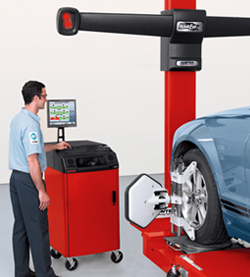 The HawkEye Elite® wheel alignment system takes just 90-seconds to chock wheels and raise the lift to work height, mount targets and set air pressure, roll forward to compensate sensors, scan VIN numbers and print vehicle results automatically. 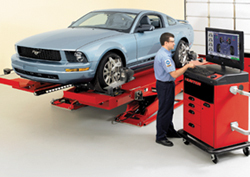 The HawkEye Alignment System featuring ProAlign alignment software enables any shop interested in providing profitable alignment service to do so with a minimal investment. 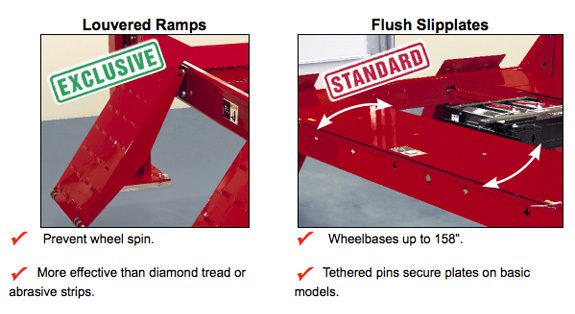 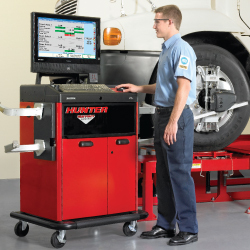 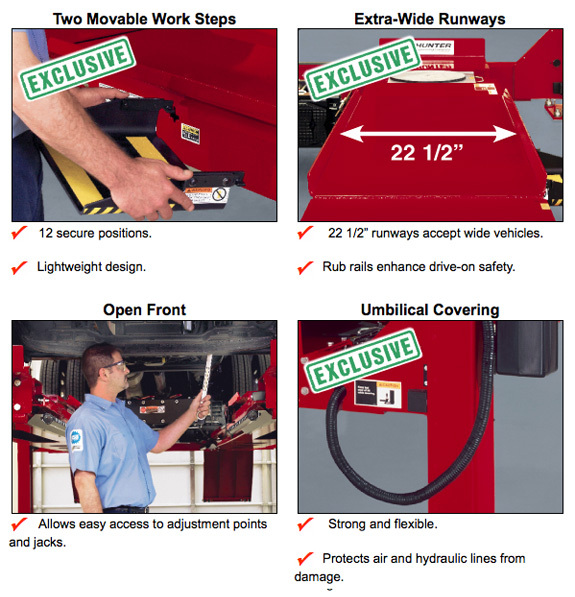 The Hunter WT Series Heavy-Duty Wheel Alignment Systems support more than 60 heavy-duty axle configurations, including dozens of truck/trailer, bus and dolly manufacturer configurations and exclusive software to deliver wheel alignment features specifically for heavy-duty truck, trailer and bus applications. 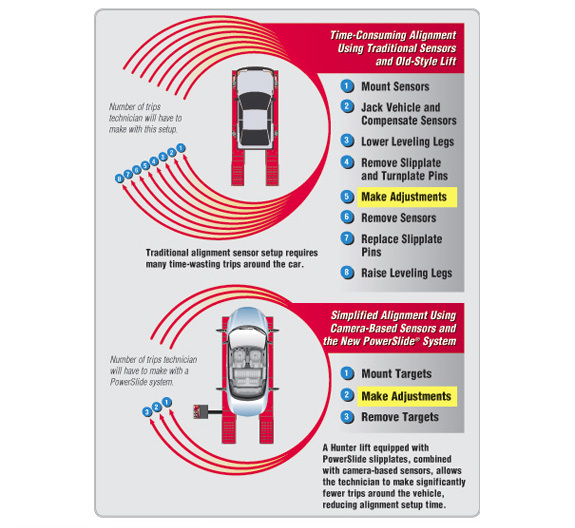 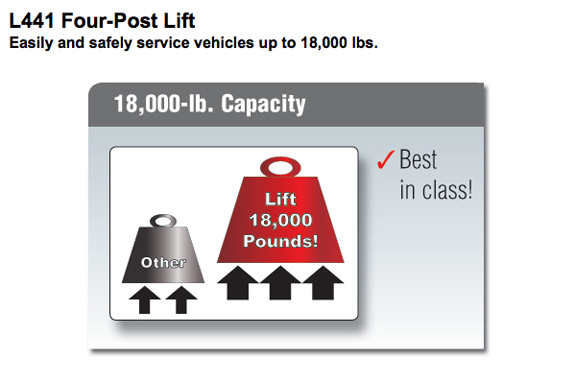 Perform Wheel Alignments Quickly and Accurately with DSP700 Series Sensors. 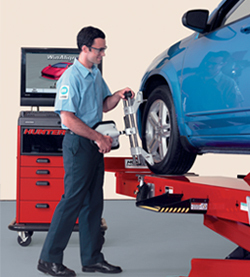 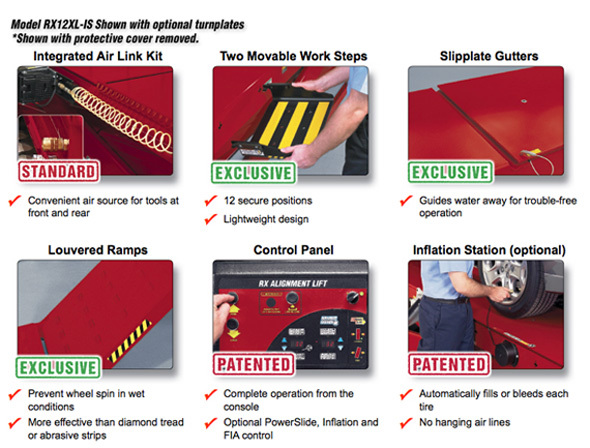 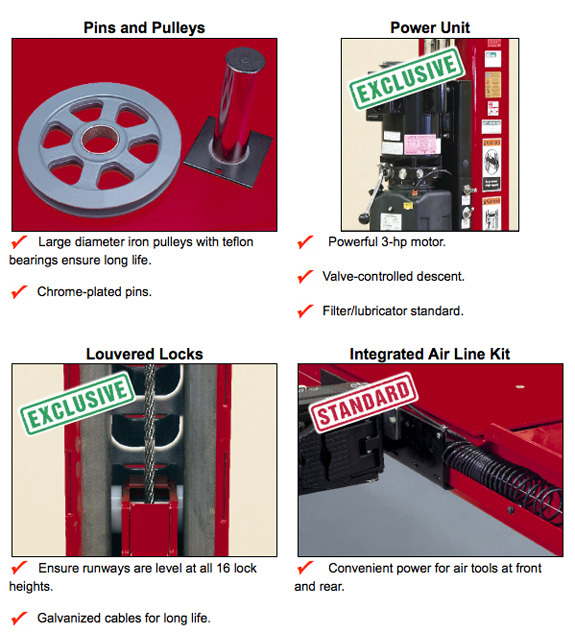 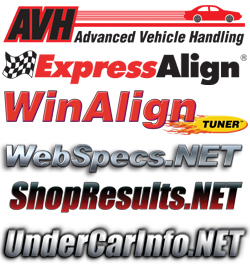 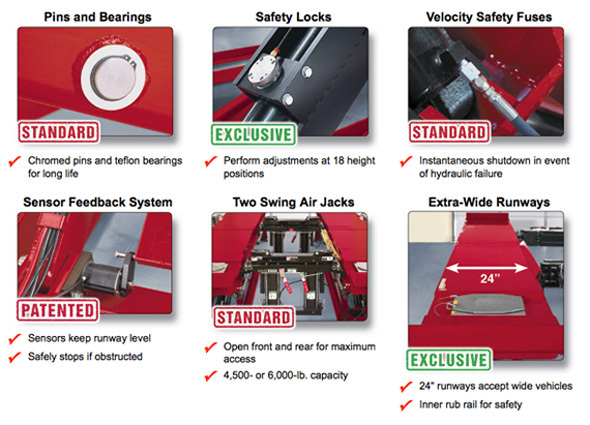 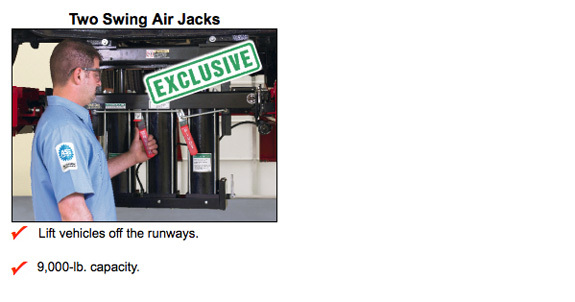 Wheel alignment accessories for Hunter wheel aligners. 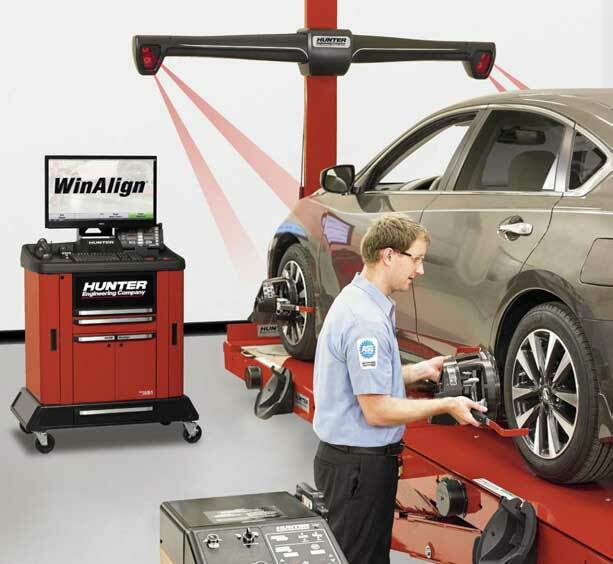 Installed in 60 countries and operating in 36 languages, WinAlign software continues to lead the industry in innovation and performance.